Tampa Bay gets hot (no kidding! )and our roadways are jammed. The heat, glare and UV can wreck your day, strain your eyes and fade your cars leather. 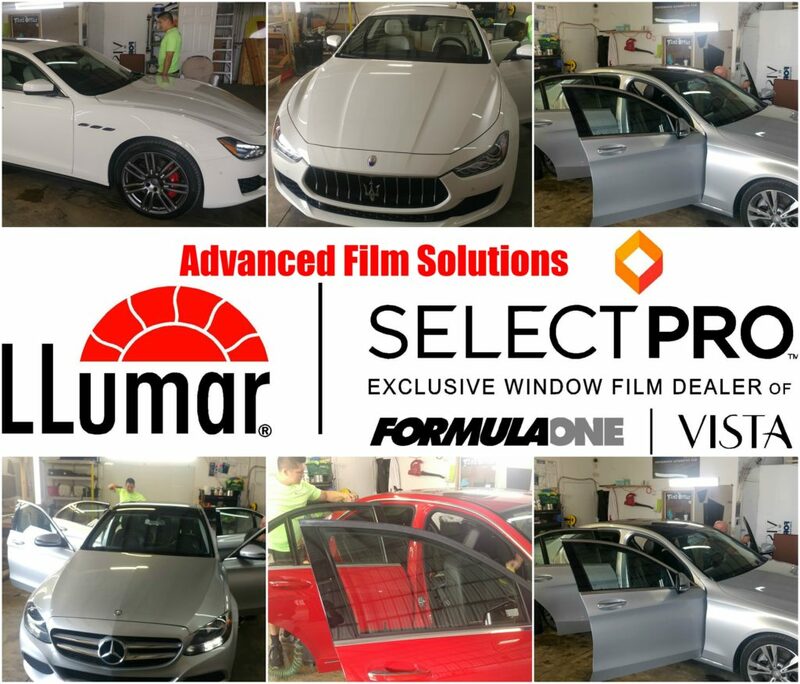 Advanced Film Solutions is Tampa’s LLumar SelectPro FormulaOne window film installation company. We have the very best heat reducing coatings and the team of installers and precision software to do the ideal installation. Our choices offer our clients the widest range of selections, styles and performance. Our films match the color of privacy factory tint. More importantly we enhance that factory glass with 99.9% UV blocking and more than twice the heat rejection if you include the rear windows. Leading ceramic coatings like Stratos and Pinnacle. LLumar CTX and ATR as well as the Eastman Huper Optik film. Our waiting room has free WI-FI so you can stay in touch while you wait! Traffic is terrible here in Tampa as evidenced by this recent article. 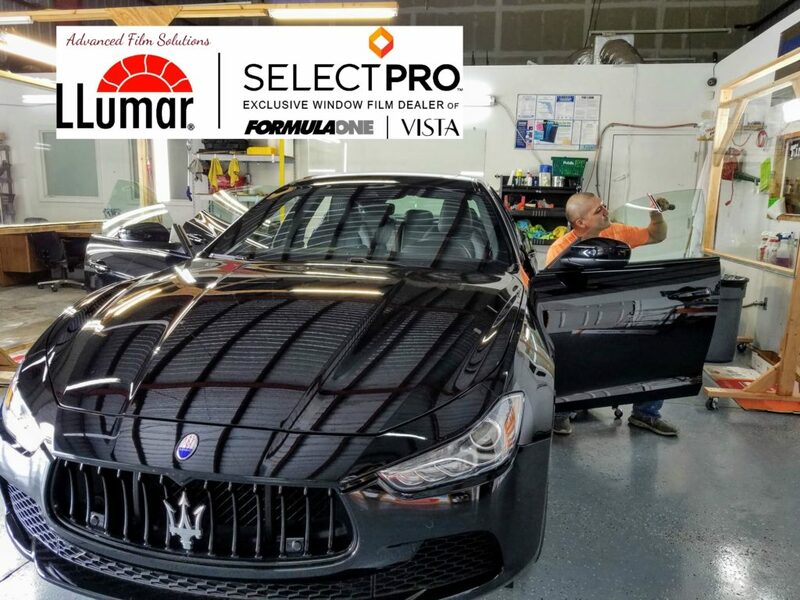 While you are stuck in this high stress-high heat situation it may be beneficial to consider the incredible cooling of LLumar SelectPro High Performance automotive films. 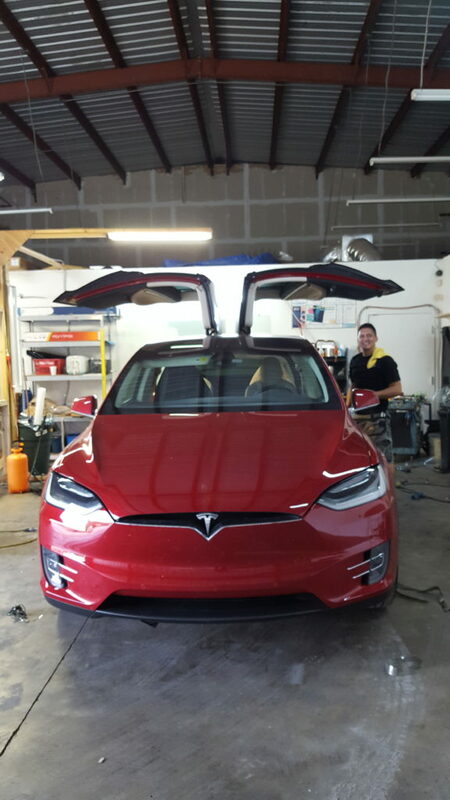 Our solutions stop nearly all the UV and as much as 65% of the heat from coming into your car or SUV. Our FormulaOne Stratos and Pinnacle films filter out IR heat and will never interfere with cell phones, satellite radio or Bluetooth transmissions and key-less entry. Lifetime warranty and incredible clarity and most of all COMFORT! 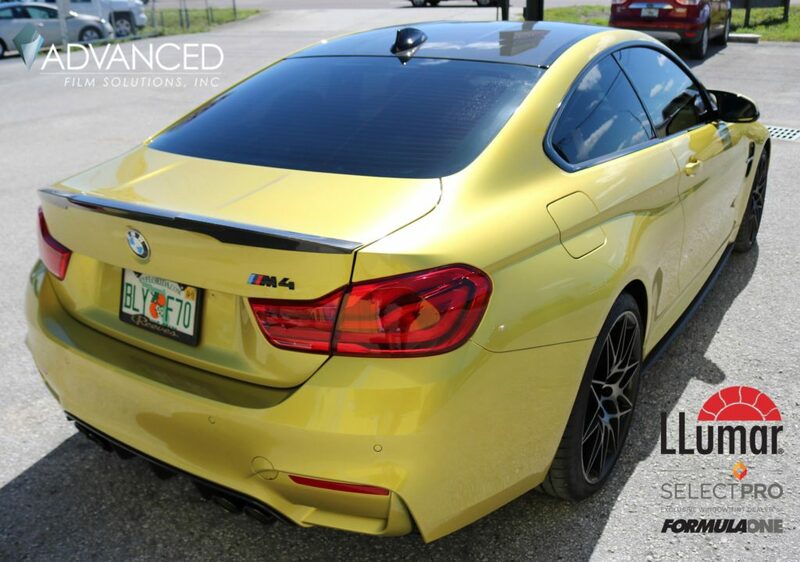 Advanced Film Solutions is Tampa’s leading installation company for heat blocking UV filtering car window film. The latest technology leap has been the recent launch of Stratos FormulaOne Car Tinting. Stratos offers incredible heat rejection without interfering with radio (RF) or EM signals. This means that your Bluetooth and Satellite Radio and AM radio will continue to function. Stratos has the added benefit of reducing IR heat at unprecedented levels. 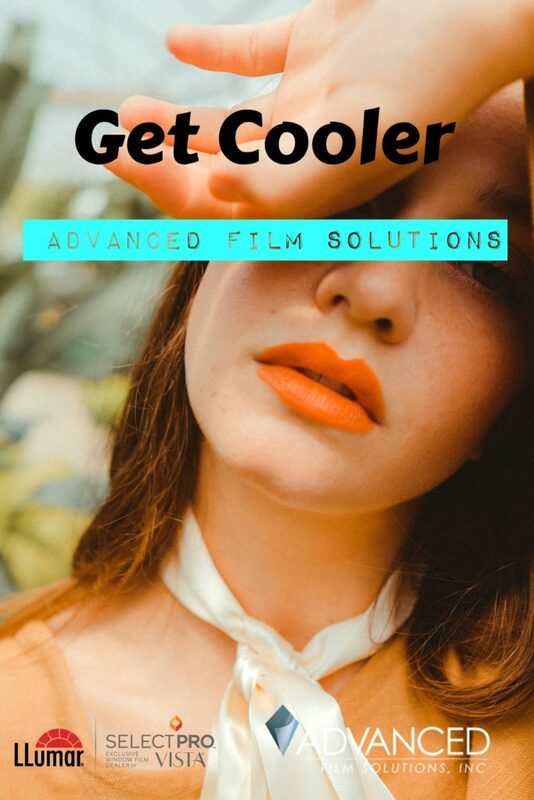 You’ll feel cooler in your car as compared to standard films. We use high speed plotters to cut the precise window pattern customized for your vehicle and our lifetime warranty is transferable and NO FAULT! Call to schedule your install because you deserve the very best! Tampa Bay drivers face enough difficulties navigating through Malfunction Junction and the endless construction on Tampa highways without having to deal with heat, glare and UV. 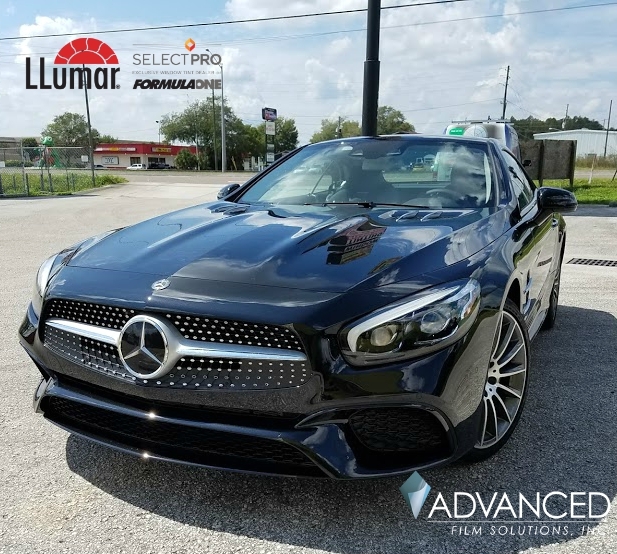 Advanced Film Solutions is Tampa Bay LLumar SelectPro FormulaOne and we install car tinting that makes driving a pleasure again. Now many car tinting choices look exactly the same on your windows. Think about sunglasses and why some selections are more expensive than another. In the case of car tinting the film applied is the key factor for increased costs. 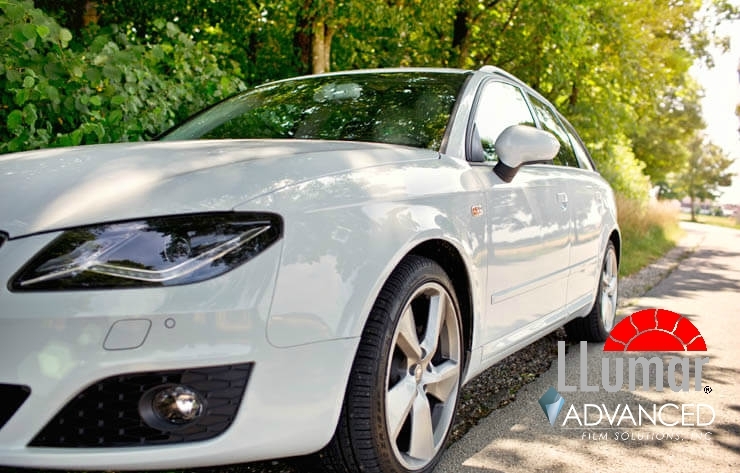 Basic car tinting films like Classic series stop glare and the UV and do an adequate job at factoring out heat. Metallic films stop more heat at the glass and are color stable. This ensures long lasting performance and the light filtering will not degrade over time. Ceramic films like Stratos and FormulaOne Pinnacle not only filter visible light but they additionally tackle IR heat wavelengths. This additional advantage allows a ceramic film to stop more heat in the same light transmission as their non ceramic counterparts. Ceramic films will not interfere with Bluetooth or satellite radio transmissions so your electronic signals will never be compromised. They look the same but you’ll feel the difference! Tampa drivers get more than our fair share of heat, glare and UV. Most new cars utilize Bluetooth electronics and many drivers use satellite Sirius radio. Consumers may not be aware of the critical differences between car tinting choices. 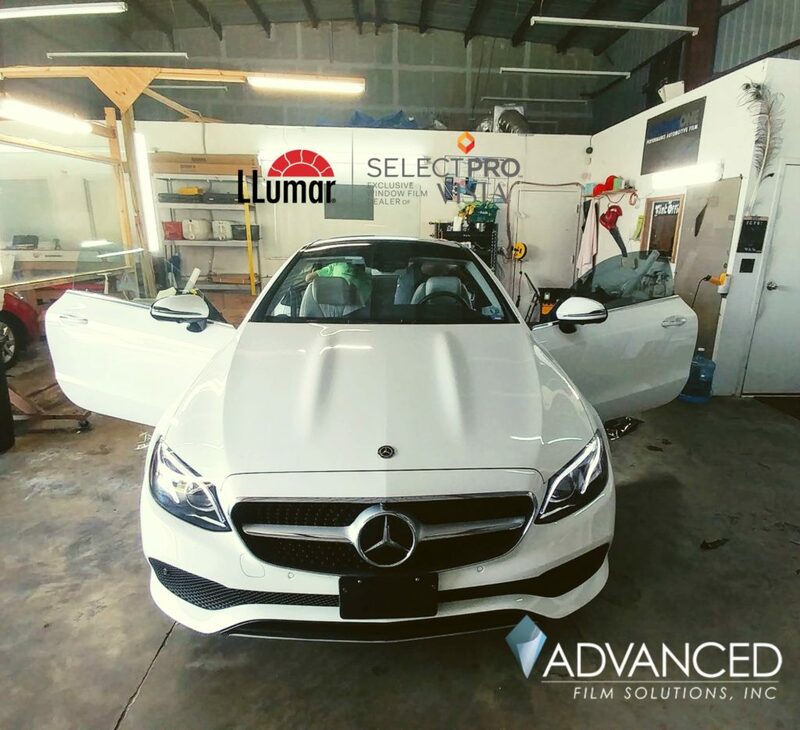 Advanced Film Solutions is Tampa Bay’s FormulaOne LLumar Select-Pro Car Tinting installation company. Our team of installers has decades of experience and we use high speed plotters to cut your car window patterns. This reduces waiting times and takes human error out of the equation. We promote Eastman Car Tinting films which includes the popular world leading LLumar Window film, FormulaOne and Huper Optik car tinting. What determines a superior quality and high performance film compared to a cheap dyed car tinting? 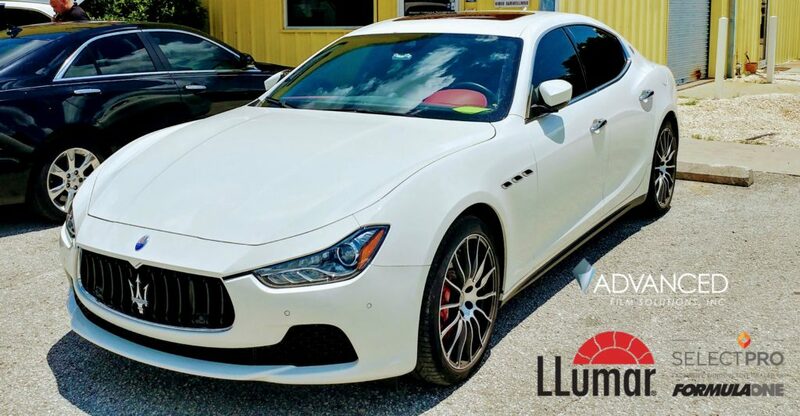 Our LLumar CTX, FormulaOne Pinnacle films block more heat in Florida legal light transmissions than standard window film. Ceramic coatings will not interfere with GPS, RF or Satellite radio. Furthermore Stratos, Pinnacle and CTX will not interfere with Bluetooth transmissions. Since ceramic films filter out IR wavelengths they provide maximum total solar energy heat rejection compared to dyed films metal or metal dye combination hybrid films. The IR functionality makes Stratos, Pinnacle and CTX a better heat rejection film compared to carbon or color stable carbon films that simply absorb the heat making the car windows hotter. A Pinnacle film will block 63% of the total solar energy in a legal 15% while standard films are typically in the 50% range. Pinnacle has a No Fault warranty and it is a transferable warranty for a lifetime of comfort. 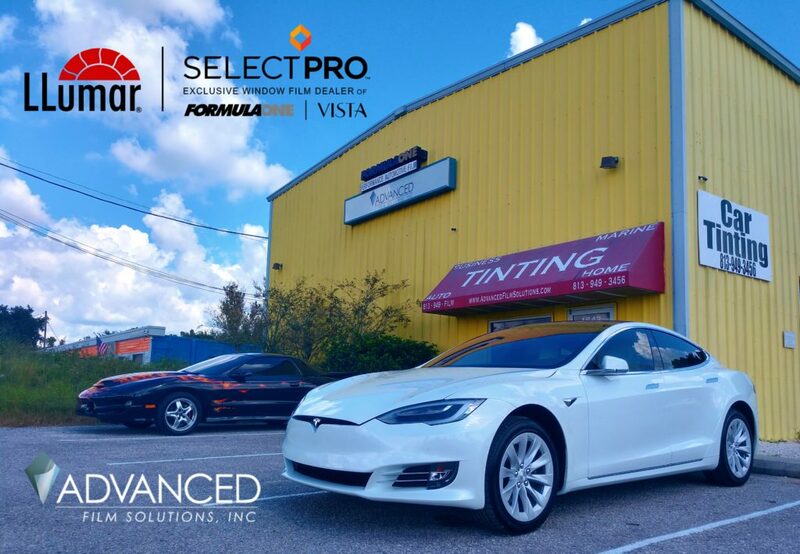 Get the best heat rejection with the most durable heat rejecting window tinting in Tampa! 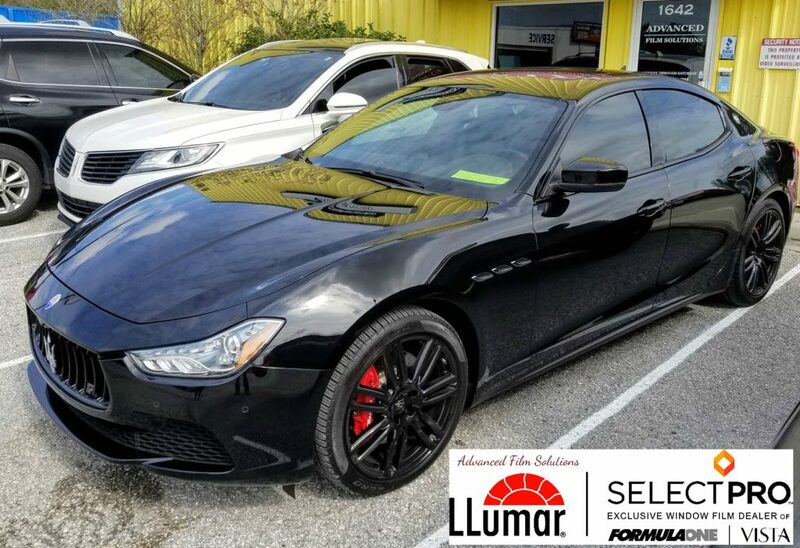 No matter what vehicle you drive in the Tampa area you already know just how critical it is to have a superior car tinting application! 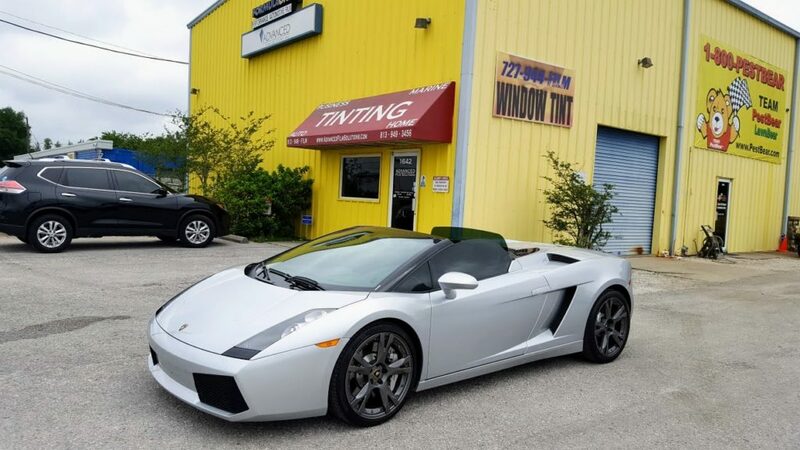 Advanced Film Solutions is Tampa Bay’s leading car tinting company. We represent the very best heat rejecting car tinting manufactured by Eastman Chemicals. 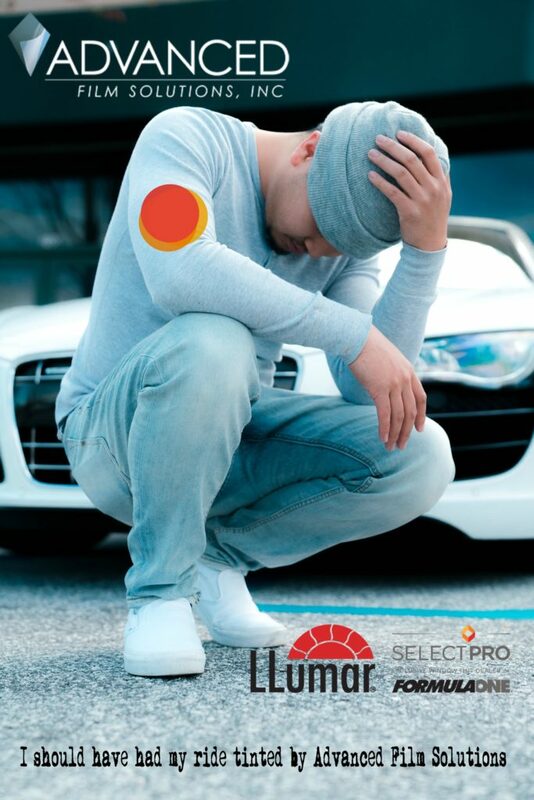 FormulaOne Stratos and Pinnacle are the top of the line ceramic coatings that offer the best heat rejection without any interference with cell phones, Bluetooth, GPS or satellite radio. We use high speed plotters to cut our patterns that match your specific vehicle. This reduces your waiting time as well as scratch potential. Our installers are dedicated to doing the best installs and our warranty is unmatched. 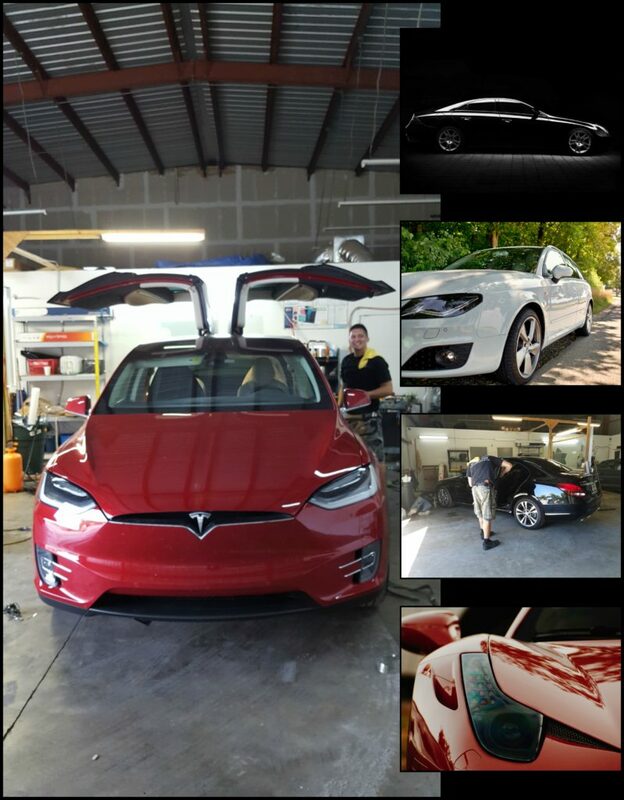 We offer more choices than any other car tinting shop and we will make sure that the selection meets your requirements and budget. Lutz, Land O’ Lakes FL. 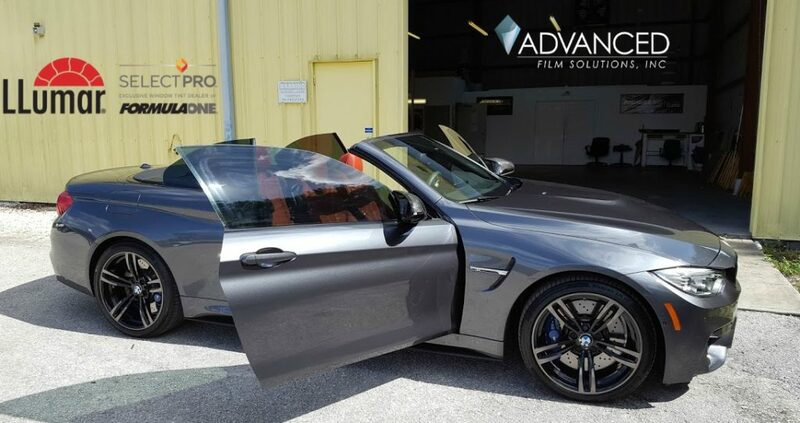 Advanced Film Solutions is Tampa’s leading car tinting installation company. 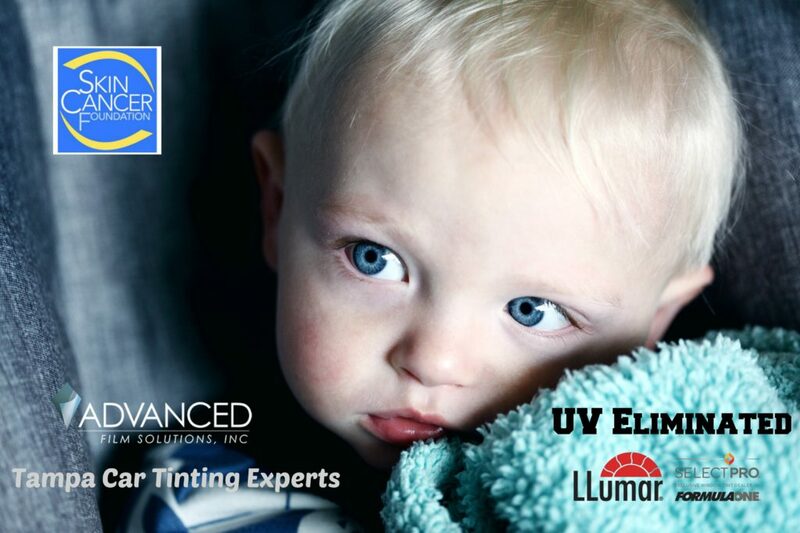 Our economical LLumar films keep heat, glare and 99.9% of the UV from entering your windows. All of our selections have a lifetime warranty and our select series has a no fault, transferable warranty. Advanced Film Solutions has earned our 8th consecutive Super Service Award from Angie’s List which is based on third party recommendations! We use high speed plotters and precision cut software to create exact patterns which improves accuracy as well as limiting sharp toold cutting on your car’s sift glass. Call 813-949-3456 for an appointment! Eastman Chemical’s is the leading window film manufacturer in the world. 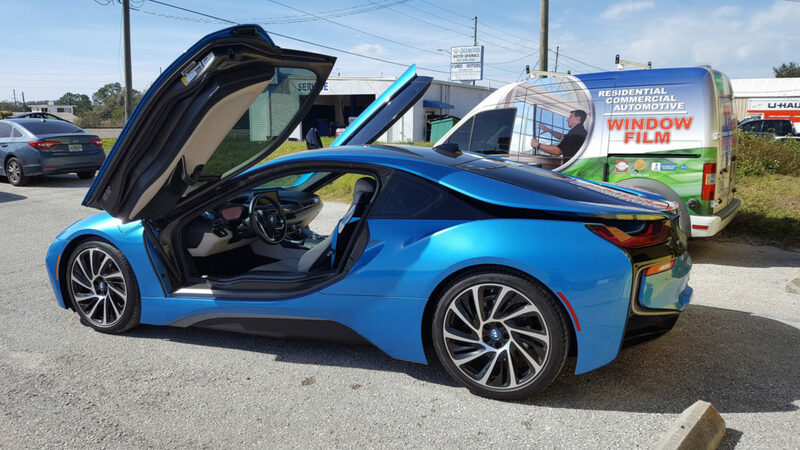 Tampa Bay drivers have dynamic choices in car tinting that meet and exceed any driver’s requirements. FormulaOne Stratos and Pinnacle Ceramic Films offer the highest heat rejection and an incomparable transferable no fault warranty. 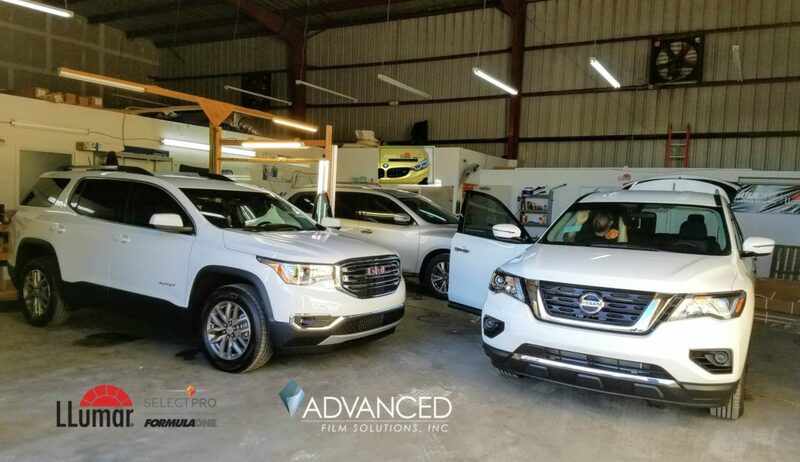 Advanced Film Solutions located in Lutz, Florida utilizes high speed plotters to custom fit our window tinting and this makes waiting times much faster. 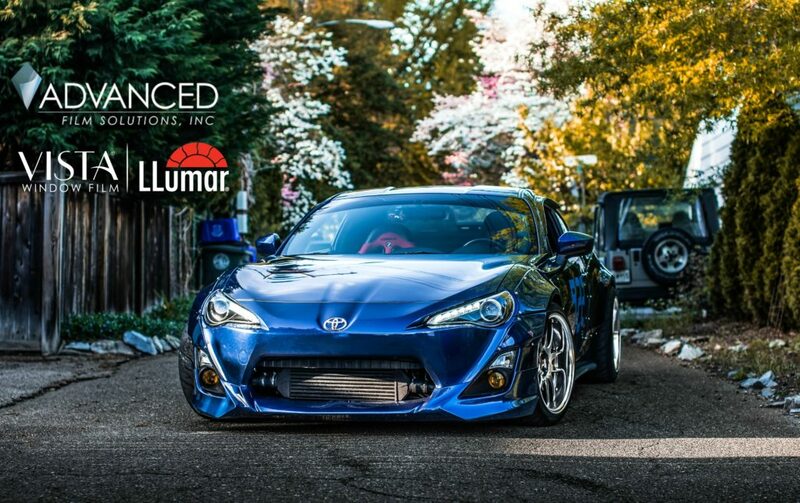 Most new cars offer Bluetooth capabilities and our non-metallic ceramic films like Llumar CTX and FormulaOne Pinnacle and Stratos provide outstanding heat rejection without compromising these signals. More Ceramic Choices than any other installation company. Call our office for an appointment or estimate and look for our coupons in your local Clipper Magazine. You’ve earned that ride and now is the best time to select the perfect car tinting. We install the LLumar SelectPro and FormullaOne Eastman Chemical Window Film. 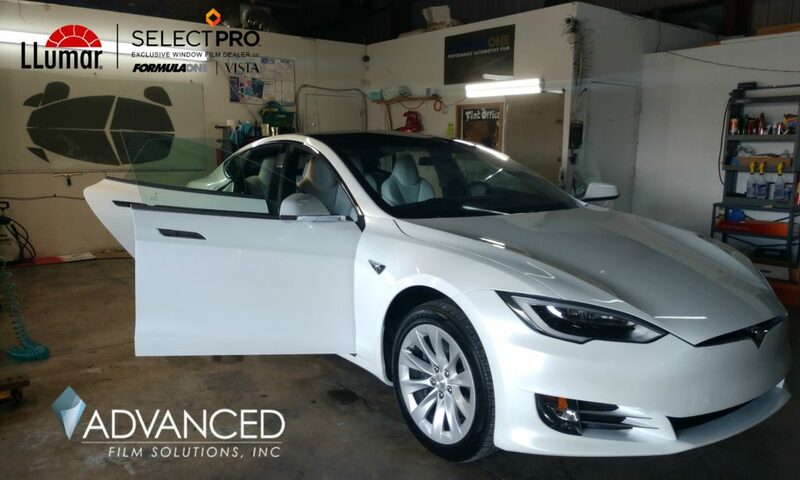 These advanced technology films includes Stratos and Pinnacle Ceramic and LLumar CTX automotive films that won’t interfere with your electronics or satellite radio. 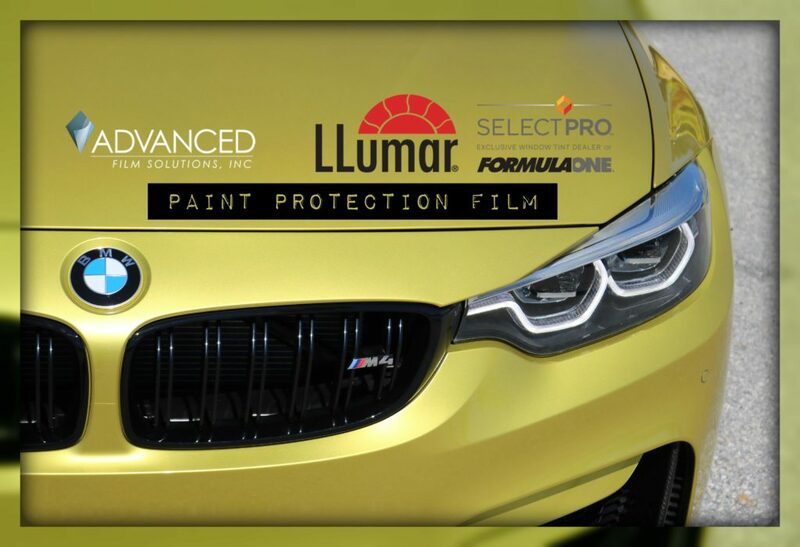 Don’t forget our paint protection film that keeps your car’s paint finish looking pristine for years to come! Thanks to the IR heat rejection these films block more total solar energy than any other ceramic film. Pinnacle has a no fault and transferable lifetime warranty. 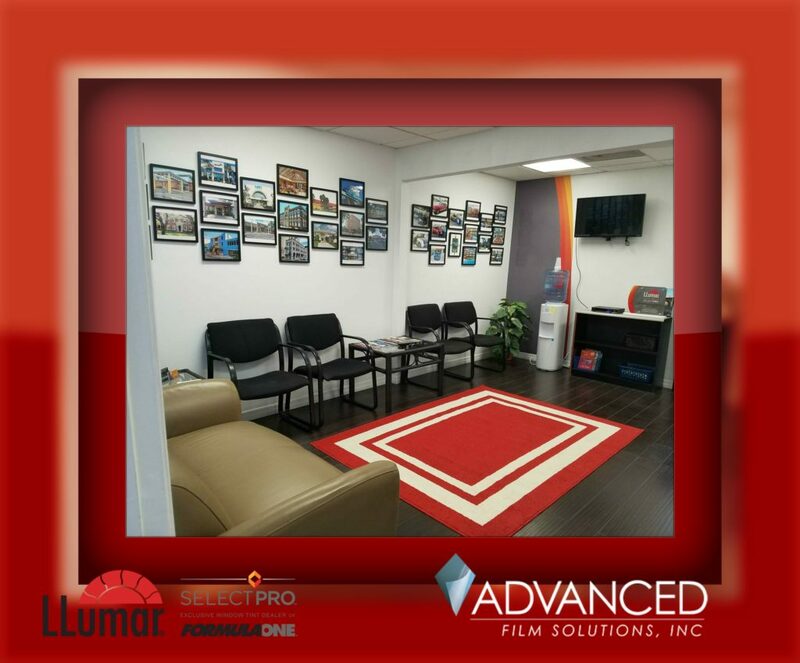 Advanced Film Solutions installation experts have more than 30 years experience and we utilize high speed plotters to cut the window film pattern. Wait times are generally 1.5 hours for a 4 door vehicle. Do the research and get the film that you and your car deserve!